Probate Estate Administration | Attorney Bradley L. Greene, Esq. Probate and estate administration can turn into a long and complicated process. Attorney Bradley L. Greene understand the frustrations you may have during this time and can make this process much easier and less stressful. Going to probate court can be scary, but our attorneys can guide you through the process and ease your fears. Many times our attorney is able to administer an estate without you ever having to step into court! Our law firm has years of experience handling estate and probate issues in and out of court. We are dedicated to helping our clients resolve any probate issues in a timely and respectful way. 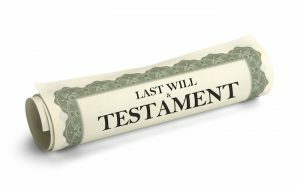 Our lawyer can make sure your or your loved one’s estate is handled properly and with respect. We work to protect our client’s interests and make sure the estate is distributed appropriately. The probate process can seem daunting, but we know what steps to take to protect your assets. Our law firm knows the process can take a while and cause additional stress, but we strive to handle your case in a timely manner and will always work to protect your best interests. Our law firm has experience handling all types of probate cases in Ohio. Located in Beachwood, we strive to guide you through the probate process. We also have an appointment only office in Cleveland, Ohio. To learn more about our firm, contact us online or call us at 216-575-5200.